We have been invited to design and teach an online course module for art professionals on Emerging markets and ICTs at IESA UK. The Institut d’Etudes Supérieures des Arts was created in 1985 in Paris as a vocational, dynamic and student-centered alternative to the more rigid and theoretical system in French universities. IESA UK renewed this philosophy in London in 2004, offering cutting edge programs that revolutionized the way the art market is taught, combining for the first time the study of history with the practice of business. Our module focuses on emerging art markets and will consist of 8 sessions featuring several podcasts each. The aim of this course is to present art market students and professionals alike a thorough introduction to the art world, and provide insights as to how it operates. We will cover topics such as the impact of globalization on the art system, the role of experts and other intermediaries, quality in art, the rise of e-commerce, the potentially democratizing effect of the internet, the valuation of art and, of course, a discussion on emerging art markets such China and India. A remarkable success story has been the inauguration of biennials and art fairs in new world art markets. Seen as evidence of the coming of age of an emerging art scene, these events are considered as an important manifestation and driving force of the integration of the international art world. Fairs and biennials feed the ongoing process of globalization by encouraging foreign artists and galleries to attend, and by catering to an international audience of buyers. In doing so, these gatherings are poised to defy national art schools and underscore the transnational character of the art world and market. 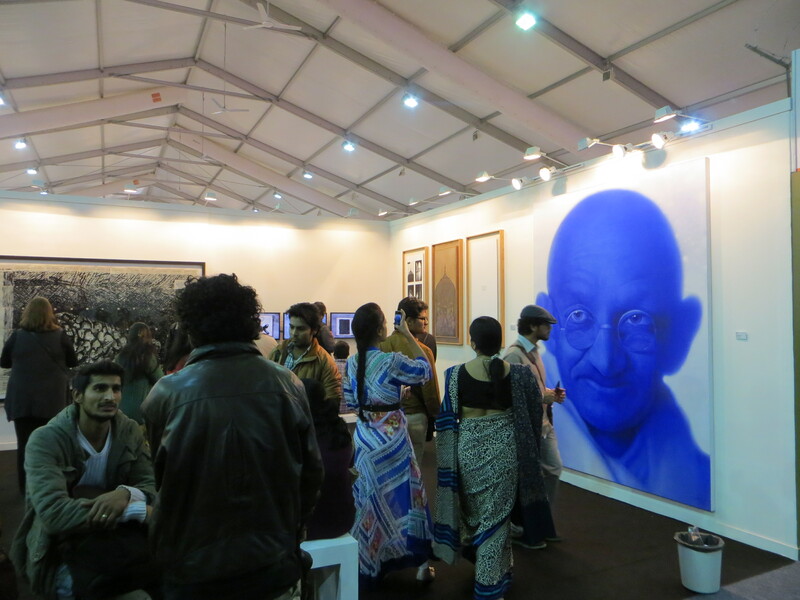 To test some of these assumptions, we examined the India Art Fair held in the capital Delhi as an exponent of the expanding contemporary Indian art market for visual arts. As the premier annual event in the Indian art world, we surveyed the galleries, artists and works of art that were showcased in the 2013 edition of the Delhi fair in order to get a sense of who and what drives the art market of the Global South. What fuels the contemporary Indian art market and shapes its artistic output – is it the new money and cosmopolitan tastes of the own middle and upper classes, or international demand? Also, we gauged the degree of local embeddedness versus the transnational nature of the art scene in India. Are art fairs truly celebrations of a diverse borderless art world featuring a broad spectrum of foreign artists or, on the contrary, do they primarily reflect local tastes by promoting indigenous art? The results of this project have been written up in a chapter which will appear in the forthcoming book on Canvases and Careers in a Cosmopolitan Culture. On the Globalization of Contemporary Art Markets, edited by Olav Velthuis and Stefano Baia Curioni, and published by Oxford University Press. A draft version of this chapter can be downloaded here.